Hello sunshine! That’s what you’re going to say to this flavorful springtime asparagus bruschetta with lemon cilantro vinaigrette after that first delicious bite. Why would you say that to an appetizer? Because if you could taste sunshine, this would be it. We all love fresh asparagus, and now that it’s in season again, you can find it in abundance at your local supermarket. I found a huge bag full of perfect spears at Walmart the other day while I was shopping for foam board. 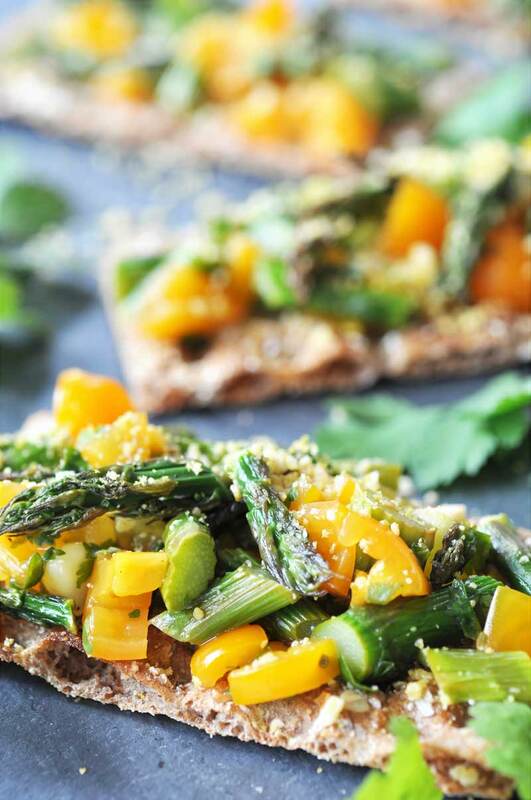 I grabbed a bag of asparagus, some yellow tomatoes, lemons, and a package of Wasa Multi Grain Crackers to make a fresh and healthy snack for my husband and me. I had been craving bruschetta, but wanted a lightened up version that wouldn’t weigh us down before our evening P90X workout. That’s why I chose Wasa crackers instead of bread. One big cracker is only forty-five calories and it has twelve grams of perfectly blended grains (rye, wheat, oats, barley) in each one. What more could you ask for? Low calorie, light, crisp, and good carbs that would give us energy to make it through an hour of intense exercise. Perfect. When I got home from running errands I roasted the asparagus, toasted the crackers, diced some tomatoes, and whipped up the lemon cilantro dressing. 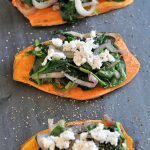 It took me a total of twenty minutes to make this colorful, healthy, and delicious appetizer, and only two minutes to eat them. The vinaigrette recipe in this dish is so bright and tangy, it complements the umami flavor of the roasted asparagus and the sweet tomatoes so beautifully. And, it doesn’t have a drop of oil in it, so you only taste the freshness of the lemon and the cilantro. 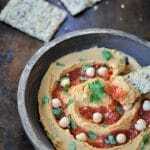 The crisp Wasa Multi Grain Cracker is the perfect texture to anchor the topping. It’s solid enough that it won’t fall apart, but not so hard that it shatters when you take a bite. You’ll absolutely love how the dressing soaks into the center of the cracker, giving it a chewy and crispy bite. That big batch of asparagus bruschetta with lemon cilantro vinaigrette was so satisfying, we finished off the rest of it for dinner along with a big salad. To make this easy, quick, springtime appetizer you only need six ingredients (not including basic staples such as, salt, pepper, and sugar) and twenty minutes. 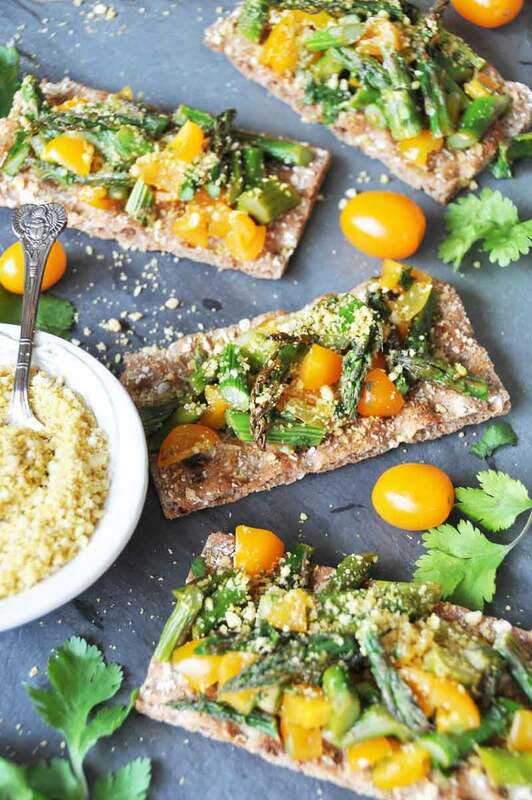 Prepare the asparagus and roast it, dice and seed the tomatoes, toast the crackers, make the vinaigrette, mix the topping together, top the crackers, sprinkle vegan parmesan on top, and eat. This beautiful appetizer would be perfect for your next get together, for a light dinner or lunch, or for a snack. Use your imagination, the sky’s the limit. Do you love bruschetta as much as I do? 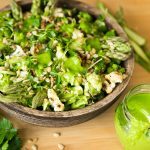 Are you excited about asparagus season? 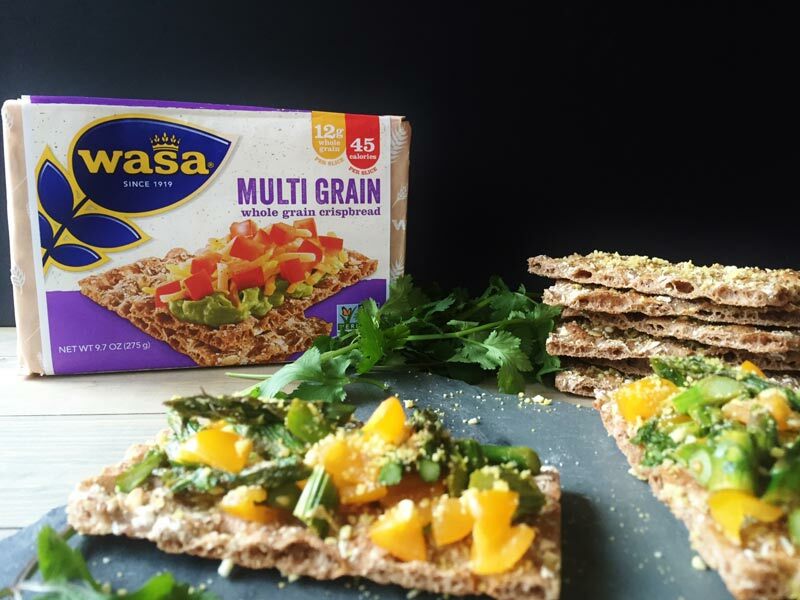 Have you ever tried Wasa Multi Grain Crackers? Click the link for the Ibotta offer. You can find them at your local Walmart in the cracker aisle. Do us a favor, we want to show the world that plant-based foods are delicious and exciting. So let’s connect and share all of this awesomeness with the world. Hop on over to our Facebook page and give it a like, and follow us on Instagram and Twitter, and follow us and share this and other Veganosity recipes on Pinterest. We’d be so grateful if you did. If you like this recipe and can’t wait to see what we’re going to share next, subscribe to Veganosity. Just fill in the subscription box above our picture in the top right corner of the page. And, Alex and I love hearing from you, please leave a comment and let us know what you think of our recipes. Just fill in the subscription box above our picture in the top right corner of the page. And, Alex and I love hearing from you, please leave a comment and let us know what you think of our recipes. 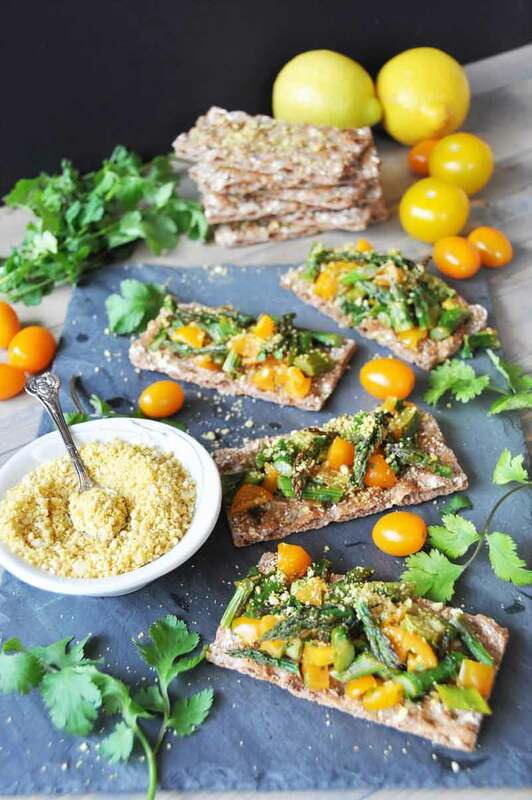 A crisp whole grain cracker topped with roasted asparagus, fresh tomato, and a bright and tangy lemon cilantro vinaigrette. Wash and snap the tough ends of the asparagus off of the spears and place evenly on the baking sheet. Drizzle one teaspoon of olive oil (or squeeze lemon juice over if you don’t cook with oil) over the spears and grind salt and pepper over them to taste. Use a spatula to roll the spears to coat evenly. Roast for 10 minutes and carefully roll the spears around in the pan. Roast for 5 more minutes or until they are easy to pierce and slightly browned on the edges. Cool. While the asparagus is roasting put the crackers on a baking sheet and brush a thin layer of olive oil (optional) on top of each one. Sprinkle with 2 tablespoons of vegan parmesan cheese and toast for 2 to 3 minutes or until they begin to brown. Dice and seed the tomatoes and diagonally slice the asparagus spears into 1/2 inch pieces. 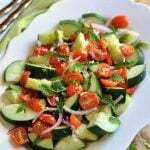 Place the asparagus and tomato in a large bowl. In a blender or with a whisk, combine the lemon juice, cilantro, water, sugar, salt, and pepper until the salt and sugar are dissolved. Pour into the bowl with the asparagus and tomato and toss to coat. Top the crackers with the asparagus mixture, sprinkle with more vegan parmesan cheese, and garnish with cilantro. All fancy ;) What a lovely light spring bite! This calls for a Garden Party! Thank you! It does look fancy, but it's so easy. If it ever stops snowing and warms up I'll host a garden party. These look so pretty and delicious! 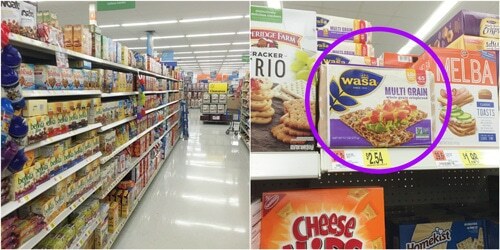 I love those Wasa crackers, what a great way to enjoy them! Hi Judy! Thanks so much. Yes, Wasa crackers are so good. Wow, this looks fabulous, Linda! 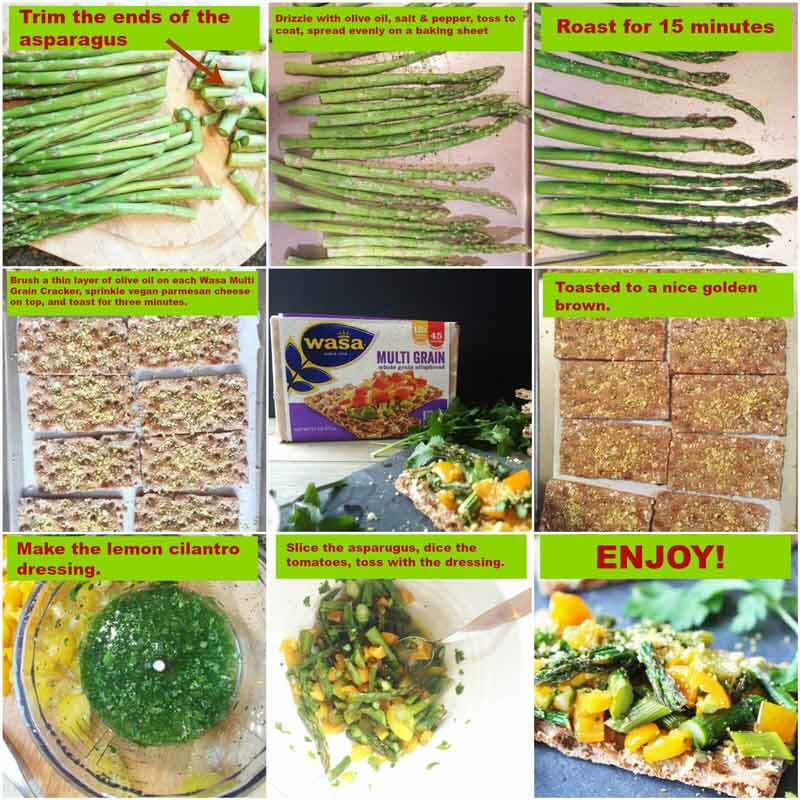 LOVE asparagus and LOVE Wasa crackers! Such a great combo, Linda! The vinaigrette sounds delightful! Aren't they the best crackers?! So light and crispy, and sturdy enough to hold that topping. You'll love this bruschetta, Jenn. Thanks! I don't know that I've ever actually had bruschetta, or if I have it clearly wasn't very memorable :D And I definitely haven't had asparagus bruschetta! It's so much more vibrant than the usual red tomato kind though. I hope spring finds its way up there soon! This looks sooooooo good Linda! I LOVE asparagus and hardly ever eat it anymore because Jay cannot even go near it because it's a huge gout trigger, so sadly, I don't buy it anymore. I really wish this was in front of me right now. 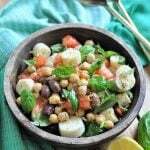 All my favorite flavors and truly a beautiful Spring appetizer! Thank you, Brandi! Darn, poor you. You could also roast broccoli or green beans to make this. Can he eat those? What a great idea to use crackers instead of bread and you've got some lovely flavours going on there. I am guessing from looking closely that Wasa crackers are kind of like Ryvita? What a brilliant, unique idea. The flavors of the vinaigrette sound so bright and spring-like, too! Thank you, Alisa! The vinaigrette is so good, the lemon and cilantro are perfect together. This looks gorgeous, so bright and vibrant for spring. And such a great use for asparagus. Thanks! Thank you, Christine! I'm so happy asaragus in in season again, I absolutely love it. I'm dying at how good this sounds!! 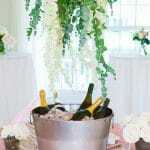 I hope the weather warms up so you can host a party because I want to come! !